You might’ve heard of the term ‘redirect’ used before. Redirection means forwarding one URL to another. Essentially, sending users and search engines to a different web address than the one requested. 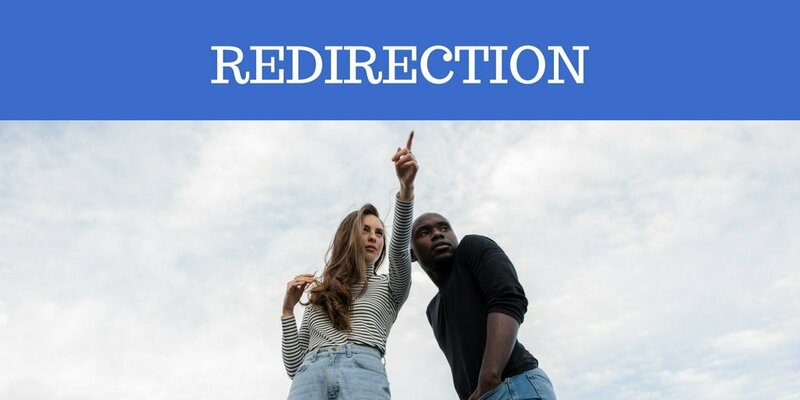 There are six types of redirects (HTTP status codes, meta refresh) available and we’re going to take a look at each individually. You won’t need many of them for SEO but it’s worth having an understanding of how they all work. This does an everlasting redirect of a web page or website and will also pass 90-99% of any SEO ranking power gained to the location that it’s pointing to. This is the most preferred method used by experts in the field when performing redirection. In a nutshell, 301 communicates to the server that you’ve moved something permanently. Similar to 301, 302 is informing the web browser that you’ve moved something temporarily. However, some people treat both of them in the same way. Not sure why it’s still a thing but you should never do that. Don’t use 301 and 302 interchangeably because they’re communicating different things to search engine bots and web browsers. Generally, this method isn’t the best way to handle most situations. They are similar to 302 but a different version. These were specifically added to give web developers more flexibility. For example, when you visit a check out page and enter your credit card info, these redirects ensure that your information isn’t re-entered/resubmitted on a refresh. While they’re not very useful for SEO professionals, web developers use them a lot. This works pretty much the same way as a 301, except it ensures that the request method and body will not be altered by a web application. If you’re doing SEO, you won’t need this but that’s the general gist of how it works. This kind of redirection executes at the page level and uses a countdown. Place the following Meta directive in the <head> section of your HTML document. That sends the visitor to the desired page in 3 seconds. Just adjust the number if you want a different wait time. However, it’s a really slow method of handling redirects, so it’s not recommended unless you have to. When you need to do a redirect, it’s better to use 301 unless it’s temporary and in that case, use 302. Note that if you use 302 as a permanent redirect, you won’t pass ranking power to the new page or domain. So it’s best to use 301 for everlasting redirects. Additionally, keep in mind that search engines may take some time to pass ranking power to the new location. Perhaps, a week but could be more.